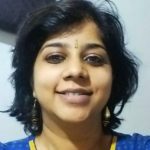 Swati currently manages a project at Brookings India focusing on framing a long-term policy for natural gas in India. Previously, she was an associate fellow at TERI, leading research on fossil fuels and energy transition. Swati’s research focuses on energy security. Indian policymakers have stressed the role and relevance of natural gas in India’s overall energy mix in the 21st century but expectations of its share have been scaled back. For example, the Hydrocarbon Vision 2025, released in 1999, projected the share of gas would reach 20 percent of the primary energy mix by 2025, while India’s current vision puts this target at 15 percent by 2030. Now, however, India’s climate change pledge at the United Nations Conference of Parties 21 (COP21) is set to reverse this with policies to promote gas in industry and transportation as well as its complementary role in achieving ambitious renewable energy targets in the long term. 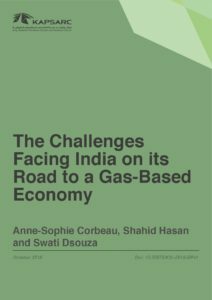 Key insights Despite previous reform measures, prices for the greater part of India’s gas supplies are still government controlled and set arbitrarily rather than determined by market forces. This leads to affordability issues – the number one challenge in Indian energy policy. Indexing Indian upstream gas prices with international markets with different dynamics may not be as effective as using opportunity costs linked to liquefied natural gas (LNG) import parities or weighted average of fuel oil and coal in bringing prices closer to the market’s ability to afford them. But the delivered cost of gas includes taxes that make its use uneconomical in India for power generators and other users. ‘Postage stamp’ transportation pricing could introduce simplicity and encourage more homogeneous economic growth and market development in the short term, although the resulting long-term distortions would have to be addressed in the future. Power and fertilizer manufacturing have remained the country’s two anchor gas-consuming sectors. Lower domestic gas production than expected and higher international LNG prices have rendered the use of gas uneconomical for power generation. The growth of a gas-based economy would require expansion to industry, transport, and households. Progress has been hampered by jurisdictional conflicts between multiple regulators. This can be streamlined by strengthening the role of the Petroleum and Natural Gas Regulatory Board as a market operator in the midstream/downstream segment and assigning greater upstream regulating power to the Directorate General of Hydrocarbons. Gas pipelines are currently limited to regions where domestic gas production and LNG import terminals are located. Realizing the vision of a gas-based economy in India will require a clear roadmap and coherent planning approach.